Irrfan Khan has been one of the most successful actors of the Bollywood Industry. He has very well established himself in the Bollywood industry and is very well known for his versatile acting. He was also working for the Hollywood and has done some great movies like Jurassic Park in the Hollywood. Well, talking about his current scenario, Irrfan Khan is suffering from a rare disease, Neuroendocrine cancer which has shocked all his fans. 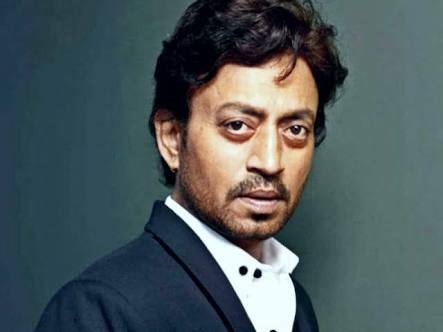 Irrfan Khan is going through his treatment in London and hopefully his fans would see him back as till now he is responding well to his treatment. 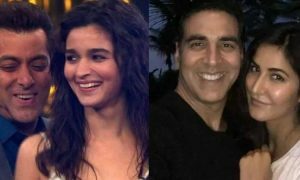 All his fans and celebrities from the Bollywood industry have been praying for this talented actor as he has been one of the finest actors and a great asset of the film industry. 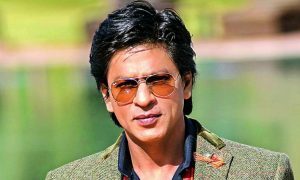 According to a website report Shah Ruk Khan, the Baadshah of the Bollywood industry has been standing with Irrfan Khan and his family in this difficult time. 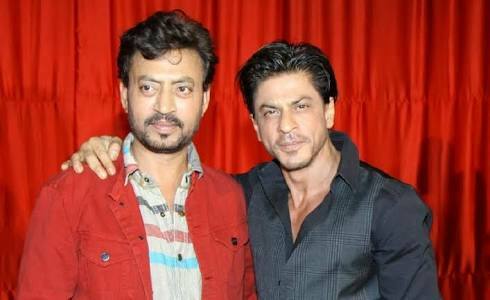 Even when Irrfan Khan was about to leave for London, he wanted to meet Shah Ruk Khan before leaving. 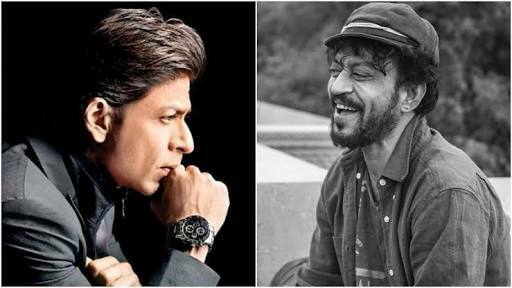 According to the reports, the wife of Irrfan Khan then called Shah Rukh and then he came to meet his beloved friend. Not only this but the king Khan spent about two hours with Irrfan Khan and also gave him the keys of his house in London. He truly and selflessly showed the care to Irrfan Khan’s family and he handed over his house key’s so that Irrfan’s family feels like home in London in this difficult time. 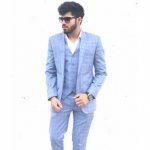 At the starting when he was diagnosed with the rare disease, Irrfan Khan had penned down his sufferings and had written a note which says, “Sometimes you wake up with a jolt with life-shaking you up. The last fifteen days, my life has been a suspense story. Little had I known that my search for rare stories would make me find a rare disease. I have never given up and have always fought for my choices and always will. My family and friends are with me and we are working it out the best possible. In trying times, please don’t speculate as I will myself share with you my story within a week to ten days when my further investigations come with a conclusive diagnosis. Till then, wish the best for me!”. As per now, he has now been responding positively to his treatment. The time when he was diagnosed with the disease, his movie Blackmail was all set to get released but he had to leave for his treatment. In a statement, Irrfan Khan expresses love for his closed ones and says that because of them only he had been able to keep going through this difficult time. 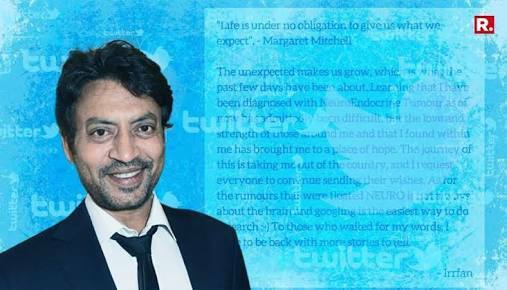 Irrfan Khan says while fighting with Neuroendocrine cancer that “The unexpected makes us grow, which is what the past few days have been about. Learning that I have been diagnosed with NeuroEndocrine Tumor as of now has admittedly been difficult, but the love and strength of those around me and that I found within me has brought me to a place of hope. The journey of this is taking me out of the country, and I request everyone to continue sending their wishes. As for now rumors that were floated Neuro is not always about the brain and googling is the easiest way to do research;) To those who waited for my words, I hope to be back with more stories. Irrfan says that he is hoping to get better which is all because of the strength and love provided by his closed ones. 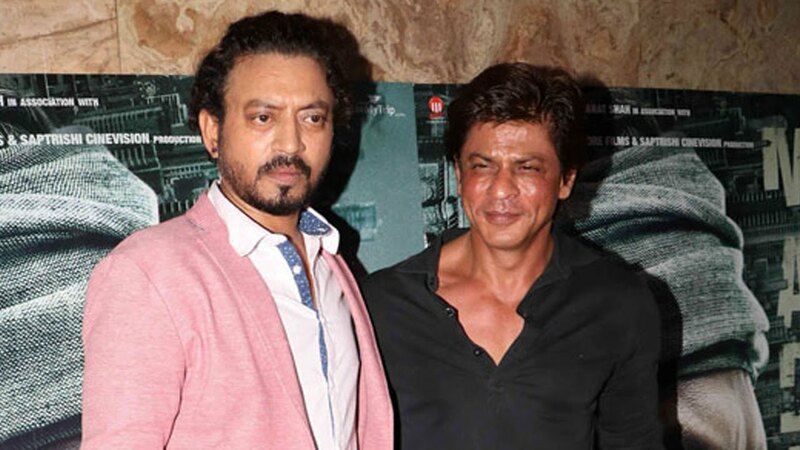 This shows how much Irrfan Khan is thankful to all his closed ones which definitely includes Shah Rukh Khan as well. 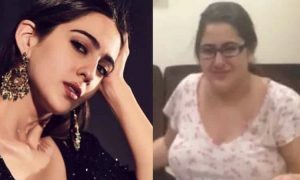 Shah Rukh Khan has shown great support to his friend and has stood for his family as a pillar. 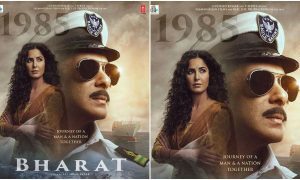 The support of his closed ones, of course, has been really crucial for him at this point in time as this has given Irrfan even more strength to fight with his misery. Let’s pray for the fast recovery of this talented persona and hope we can see him back soon and rule again in the film industry. 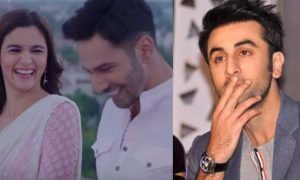 Also Read: Here’s What Rishi Kapoor Thinks About Ranbir Kapoor&#8217;s New Girlfriend, Alia!